Helen definitely knows what she is talking about. This book will give practical solutions and step by step guides so you can file with ease and on time. 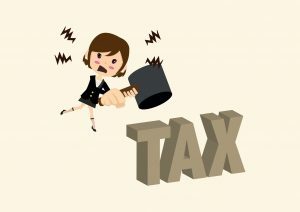 Most business owners always put their accounts on the back burner and file their tax return last minute or send their book-keeping to their accountant with only a few weeks until the deadline, whilst a small handful of business owners are fairly swift in filing their tax return and sending their bookkeeping in. What is the difference between those who file early and those who don’t? In summary, there are at 12 recognisable differences, which gave me a reason to write a book addressing them. Some of these are a lack of knowledge around the practical steps required, whilst others relate to the mindset and time management. *You will only be emailed approximately once a week (until chapter 12 is released), then after a short gap, we will send you the completed book free of charge in pdf format. All I ask in return is that you give me feedback to fine tune it, or if you think it’s really awesome, give the book a review when it’s on sale to helps others find it so they can do their tax return with ease, because it’s nice to be kind and help others. We will be releasing a workbook that you can use alongside Successful Business Minds. It will assist you with your daily, weekly and monthly intentions so that your business continues to support you and provide you with the life you want for you, your family and your clients. This will be available to all those who have currently purchased Successful Business Minds and accessed the resources. We are currently writing the sequel to Successful Business Minds. A book that will help you delve deeper into the unconscious behaviours and social norms that stop you from having a business that you really want. Then address what actions you need to take to overcome them. If you found part 3 of Successful Business Minds a challenge then you will love this book!